A wall oven is an excellent idea if you prefer a separate cooktop and an oven because it gives you 2 separate cook areas with plenty of room to prep and cook. Depending on your kitchen layout, having a separate wall oven allows you to place it at a convenient height, preventing you from leaning over like you would with a range. 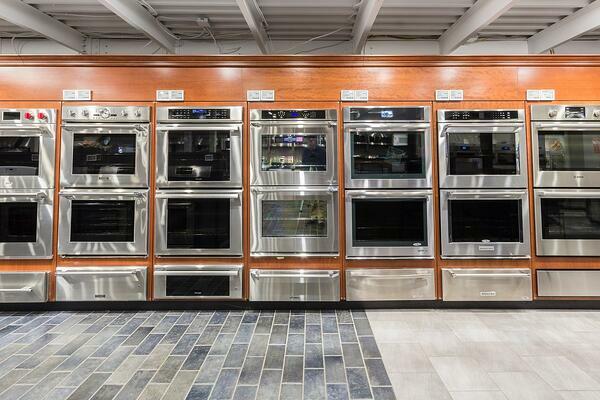 When you're looking at wall ovens a few important things to consider are, performance, reliability, size, and finish. Two manufacturers who are very popular are Miele and Thermador. Both are quality conscious and are among the least serviced brands in the premium wall oven segment. However, they are very different in price and features. We will look at both companies, both of their ovens, and then compare them. Short on time? Download our free Wall Oven Buying Guide with features, specs, and detailed profiles of the major brands. Miele is a family-owned company and has been manufacturing high-end appliances for over a 100 years. The company's philosophy "Immer Besser" (forever better) results in one of the least repaired brands we sell at Yale. The majority of all the components and parts found in a Miele product are manufactured by Miele. Their devotion to every component of their products goes back to the root philosophy of the family, of being better and more reliable than any other brand. Thermador is part of the BSH Home appliance corporation, a fully owned subsidiary of the BSH Bosch, and is one of the largest appliance manufacturers in the world. They were acquired in 1998 and are now sister brands to Bosch and Gaggenau. The majority of Thermador appliances are manufactured in plants in North Carolina and Tennessee. In 1947 they introduced the first single wall oven. Through the iconic TV shows, Julia Child's and the Brady Bunch, Thermador was brought to the attention of the American public. They have become very popular with their 1, 2 free promotion - buy a wall oven and cooktop and receive a free dishwasher. Miele and Thermador both are reliable and offer lighting. Both are Star K certified and offer multiple modes of cooking. They both use European convection, which distributes warm air, and an additional heating element. The result is more consistent, faster heating and tastier food. Miele and Thermador have soft closing doors and each offer at least one full extension/telescopic rack. All their ovens offer self-cleaning. 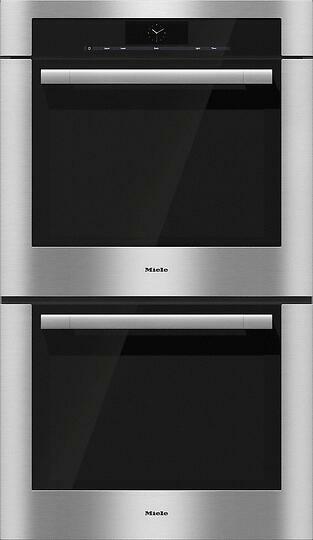 Miele uses twin convection, it has two fans and heating elements in the back. The advantage is more precise cooking. It's helpful for baking delicate foods or using modes like bread roofing. Miele is the only company to use steam in the cooking process. Connecting a waterline to the Miele oven gives you the ability to use the Moisture Plus mode. Up to 3 bursts of moisture, either manually or time driven, brings humidity into the oven. What this can do is this can harden crusts on bread or help with the caramelization process for meats, for example. Miele Master Plus and Master Chef programs, found in the gourmet section, can help you choose from over 100 easy-to-use programs. Thermador's 7-minute fast pre-heat cycle is one of the fastest in the premium wall oven segment (compared to Miele's 15-17 minutes). Thermador does have a 2 hour fast clean option as opposed to 4 hours. Thermador offers the double oven in both their professional series and Masterpiece series. Additionally, Thermador offers a rotisserie in their pro series oven with the purchase, where with Miele you need to purchase it as an accessory. Miele and Thermador wall ovens offer reliability, style, and performance. With Thermador, they have two styles to help with design-focused customers. Miele's attention to detail in the manufacturing process shows in the stylish and fingerprint free stainless-steel finish. Their intuitive M touch controls help you navigate and quickly get to your favorite mode out of the astonishing 19 modes to choose from. Thermador offers value and if you add a cooktop or range top to the order, they give you a free dishwasher. You will be able to cook better with the Miele, but it is $2-3,000 more than the more basic Thermador. Need more info on wall ovens? Download The Yale Wall Oven Buying Guide with features, specs, and detailed profiles of the major brands. Well over 230,000 people have read a Yale Guide.